Kevin Arnovitz, ESPN:45 percent, and I'd peg my unscientific estimate a tick higher. The Lakers have proved themselves to be a solid playoff-caliber team when James is active. Despite the competitiveness of the West, there's good reason to believe that when he recovers, they'll return to form. Chris Herring, FiveThirtyEight:I still assume the Lakers will reach the playoffs, so I'd take the 45 percent probability. They should be fine once LeBron comes back fully healthy, though it might take a few games for everyone to get back in sync. If the Lakers can make it through a treacherous February -- when seven of their nine games are on the road, against good competition -- they should be fine. Brian Windhorst, ESPN:45 percent. From my vantage point, the Lakers are what we thought they were: a team with a flawed roster but some pretty good individual talent that will have its moments and have its slumps. Their schedule is backloaded, so it's going to be challenging, but they're good enough to rip off an eight-game win streak and susceptible enough to lose five in a row. In the end, I see them winning 43-48 games and getting the 6-8 seed. 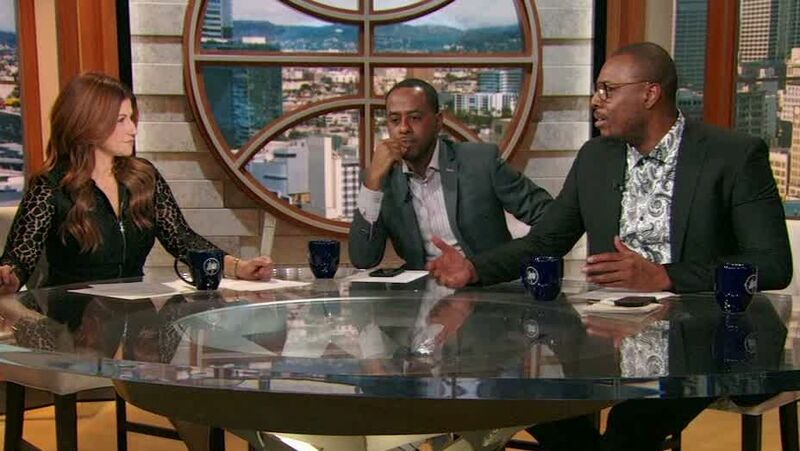 Kevin Pelton, ESPN:45 percent. The big difference here is that FiveThirtyEight's projections account for the Lakers' talent at full strength -- different from what we've seen over the past three weeks with LeBron and Rajon Rondo sidelined. While the schedule will get much harder in the second half of the season -- only the Oklahoma City Thunder have a harder remaining schedule, per BPI -- I still would have the Lakers more likely than not to make the playoffs. Windhorst:30. He's probably going to miss quite a few more because of this groin injury, maybe several more weeks. This is a real injury and the Lakers have to be careful with it. They have to have him back fully healthy because they can't afford for him to get hurt again. Luckily, he almost never does. Arnovitz:Based on their winning percentages with and without LeBron, 34 games would get the Lakers to about 45 wins, which projects to be right on the cusp of the postseason (538 has the No. 8 seed in the West winning 43 games and BPI has the No. 8 seed winning 46 games). To be on the safe side, the Lakers can ill-afford to have LeBron miss more than five more games. Snellings:25. The playoff cutoff looks to be somewhere around 45 wins. If LeBron plays 25 games, and the team closes with a 55-win pace, that'd be 17 wins right there to get L.A. to 40. That means the Lakers would need to win about five of their other 15 games to get in, a plausible number considering they have gone 3-5 in the games LeBron has missed. Pelton:30, if I have to pick a number. We know he's going to miss at least three more games because of his current groin strain, but the Lakers have shown enough in wins over Dallas and Detroit this week to believe they can stay afloat through another mini-absence for LeBron. Herring:I'd guess about 35. It's one thing to be confident that L.A. will reach the playoffs. It's another to expect them to make it if he continues to miss far more action. Without him, I'm not sure I'd trust a team this young to finish the job on its own. There isn't that much room for error. Snellings:If there were an expansion draft and I could pick any Laker besides LeBron, I would choose Lonzo Ball. His playmaking and defense at the position are special, and I believe he will develop into a star. But on these Lakers, LeBron is the point guard and he needs to be surrounded by players who complement him. Thus, Kyle Kuzma is their second-best player with his ability to play off the ball, shoot from range and finish with volume and efficiency. Arnovitz:After dropping 41 points on the Pistons on Wednesday night, it's fair to say Kuzma has claimed the mantle, at least for the time being. He can both spread the floor and create off the bounce, which is more than we can say for the rest of the roster. Kuzma's defense has improved, though he still doesn't give the Lakers the flexibility to truly go small because he's a liability at the 5. There's still hope that Brandon Ingram can assert himself, but at present he's simply not enough of a shooter, not sufficiently creative and not enough of a defensive presence to warrant consideration. Herring:Never would've made this argument before the season, but it might be Kuzma. When James is out, he looks most comfortable trying to replace LeBron's scoring ability. And while he isn't as reliable as someone like Ball on defense, Kuzma has shown to be decent on that end when giving full effort. The jury is still out on which youngster has the brightest future, though. Pelton:I'm not sure and I don't think it really matters. Often, second-best player is synonymous with second-best offensive option, and I think the stretch without James has reaffirmed what we suspected beforehand: That's Kuzma, not Ingram. However, when defense and playmaking are factored in, a case can be made for Ball, Josh Hart and even JaVale McGee. Windhorst:Don't know. Neither do they, really. That's a problem. They had the No. 2 pick three years in a row and they failed to land a bona fide star. Drafting is hard, sometimes you can do everything right and still miss. The No. 2 pick has been a danger zone for years. But to get three in a row and not hit on one ... that's potentially going to dog the franchise for a while. No offense to Ball and Ingram, I just don't see them as stars. Pelton:They shouldn't and won't, mostly because I don't know what big trade there is to be made at this point. I'd consider it extremely unlikely Anthony Davis will be traded at the deadline, and the Lakers should certainly wait to see whether Davis is attainable before making another blockbuster trade. Snellings:They should ... but only for Anthony Davis. Davis is the only player with any rumored possibility of becoming available who, when matched with LeBron, would give the Lakers a legitimate chance to contend this season. But if New Orleans holds on to AD as expected, the Lakers would be best served to finish the season strong, try to make a playoff push to season their youngsters and then enter the offseason with their max cap space and better ability to make moves. Arnovitz:They shouldn't and won't. The Lakers' best assets will be worth more to them in the future than they are at present. Davis is the superstar the Lakers covet, but there's no reason for the Pelicans to start the bidding before Boston is eligible to put together its best package in July. Barring that, there are probably some smaller deals to complete -- e.g., the likes of Kentavious Caldwell-Pope to a team looking for some guard depth. Herring:They should but won't. The team places an enormous premium on its young players. But they haven't shown a huge leap to this point, both because they've been learning how to play alongside LeBron and because they've had the ball less as a result of that shift. But there's no guarantee that any of them will develop into All-Stars, either. If you can exchange some of that young talent -- and do it while they still have a lot of perceived value -- this might be the time to do it, before James gets any older. Windhorst:They should but won't. They need more shooting (free throw shooting included) and rebounding. The difficulty for them is they can't really do a deal that brings on money after this season because they're saving a max salary slot and they're right on the edge. The other problem is their most tradable player is Caldwell-Pope and he has trade veto power. Best bet might be to play the buyout market, which is notorious for disappointing over the years. Herring:Out of respect for LeBron, I'll argue that only two teams clearly have a higher ceiling: the Warriors and Nuggets. I think those teams either have enough star power or enough depth to where I'd pick them in a series without thinking about it too hard. LeBron himself is capable of keeping his team in a series, and he could help generate an upset against the other clubs in the West. Arnovitz:Two: Golden State and Houston. LeBron has repeatedly demonstrated that he can drag a middling team to the Finals (albeit through the Eastern Conference field). The man has posted career playoff averages of 29 points, 9 rebounds and 7 assists, with a true shooting percentage of 57.9 percent -- and those averages are measurably higher than that over the past three postseasons. The Lakers are by no means the third-best team in the West (nor are the Rockets the second best), but individual talent has always been an outsized predictor of playoff success, and there's little reason to believe that a healthy LeBron James will cause that to change. Windhorst:Let's rephrase this, apologies to the editors. How many teams does LeBron James fear seeing in the playoffs? One, the Warriors. Everyone else, he'd give the Lakers a good chance to beat in a seven-game series. Why? Because the Lakers have him. This is how he thinks, and how he has thought for years. His track record is pretty good. How many teams do I think have a higher ceiling than L.A.? Probably four. Snellings:Two. If this Lakers team enters the postseason healthy, only the Warriors and Rockets have higher playoff ceilings. The Nuggets and Thunder are both strong teams as well, and both have arguments in their favor, but LeBron's presence as an all-time centerpiece gives the Lakers an edge in the postseason. Golden State and Houston have the concentrated talent to overwhelm the LeBron-led Lakers, but the Lakers at their best could beat any other team in the West. Pelton:Three (Golden State, Houston and Oklahoma City). If the Lakers combine the top-10 defense they've played since Tyson Chandler's arrival with the kind of offense we've seen from LeBron's teams in the playoffs when he becomes an even greater hub, with apologies to the Nuggets, I think those are the three teams with greater potential. 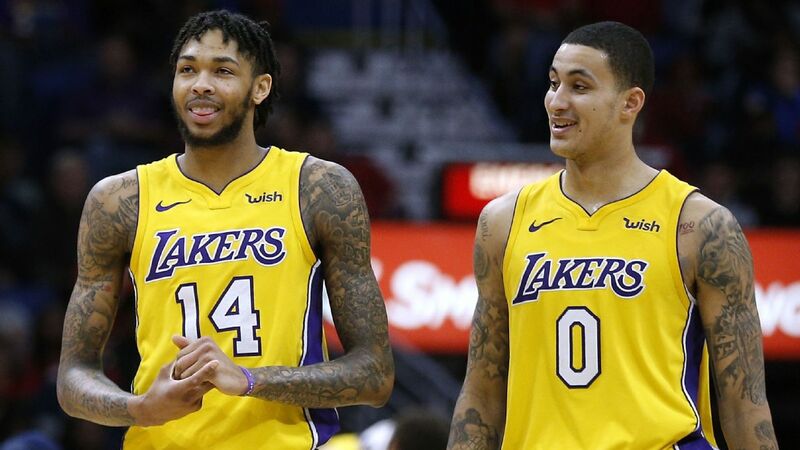 More valuable: Kyle Kuzma or Brandon Ingram? After Kyle Kuzma's 41-point night against the Pistons, Paul Pierce and Amin Elhassan evaluate his player value compared to Brandon Ingram's.